Please note that our Christmas plays are scheduled for Wednesday of this week. 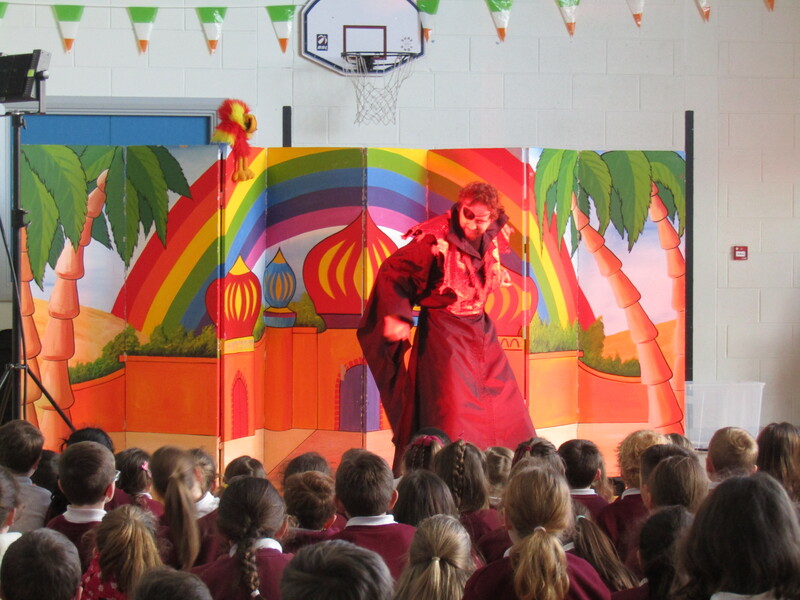 The Junior to Second Class plays are from 11.30 until 12.30-ish! The Carol Service for third to sixth class pupils is scheduled for 1pm and will last approximately 45mins. There will be a draw for a Christmas hamper, a Christmas cake and other prizes on Wednesday. 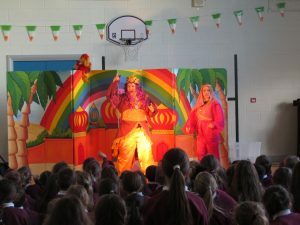 Tickets are available in the school this week at €2 per strip or three for €5. Santa is scheduled to call to the school this Thursday. The school will close on Friday, 21st December at 12 noon. We will re-open on Monday, 7th January. Letterkenny Pantomime Society are hosting a performance of ‘Alice in Wonderland’ in An Grianán Theatre on Saturday, 19th January at 8pm. Proceeds are in aid of Kilmacrennan school. 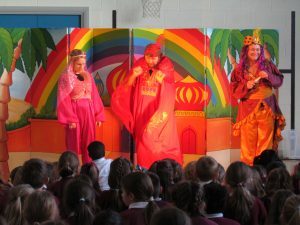 Tickets are available from the school and the theatre. 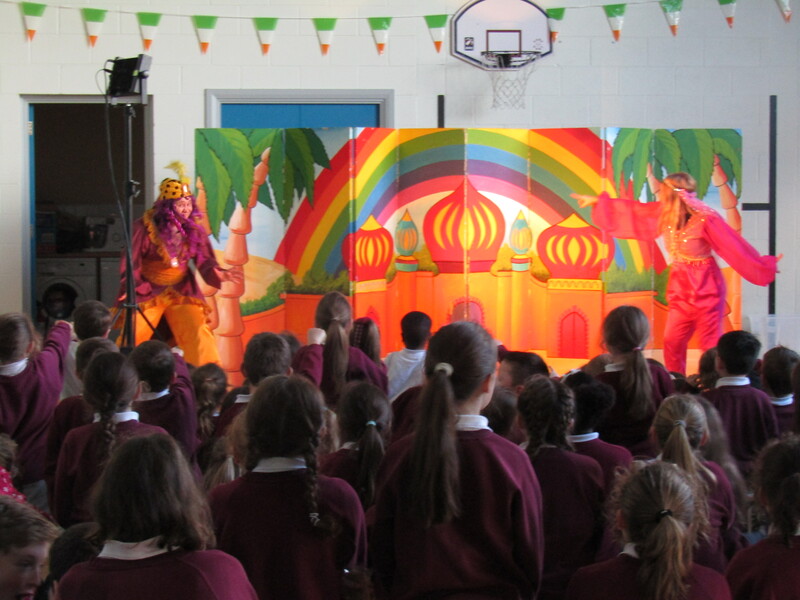 The pupils recently enjoyed a visiting theatre group performance of Arabian Nights. 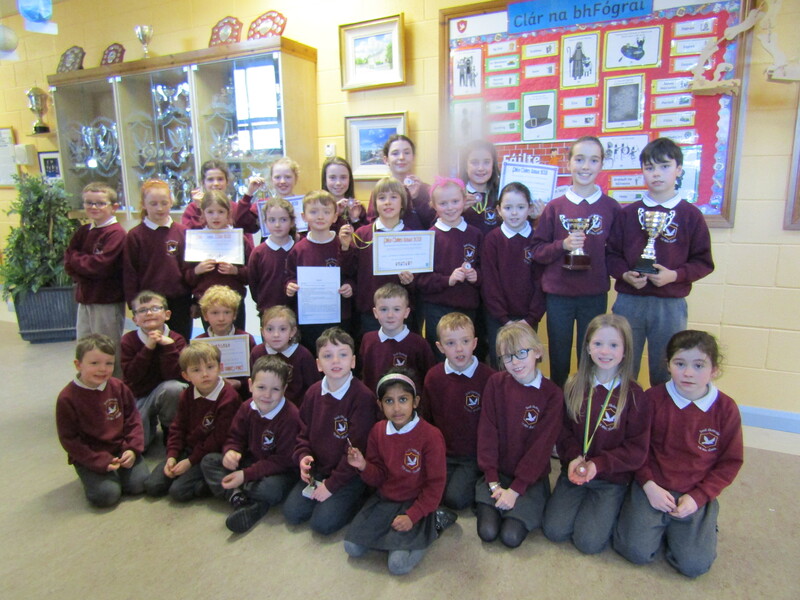 Congratulations to all who took part in the Céim Aniar poetry competition in Downings last Saturday. It was a most enjoyable day, with 41 pupils from the school participating. D’éirigh go h-an mhaith le gach duine ar an lá. Bhuaidh Seán comórtas Rang a Ceathair agus bhuaidh Máire comórtas Rang a Sé. Bhuaidh Bríd, Róisin, Ava, Grace, Rose, Lucia, Donagh, Alanna, Cara, Patrick boinn ar an lá. Lá Mór do na Gaeil i gCill Mhic nEanain a bhí ann. Doirn san aer.